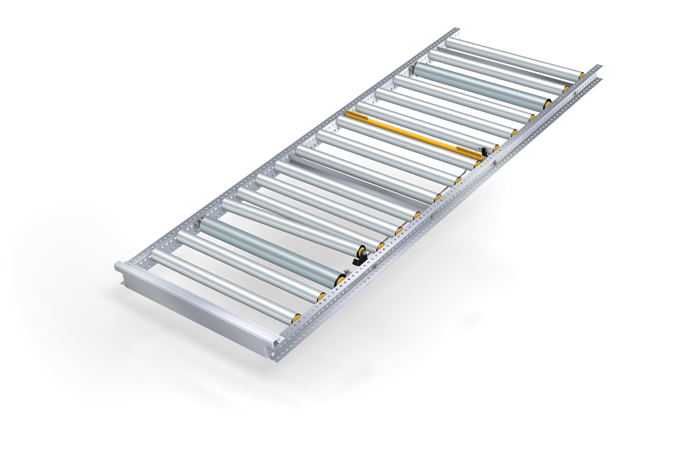 The working principle of the pallet flow rack is based on FIFO (first in firts out) principle. Pallets gently glide on roller conveyors on the principle of gravity from loading (feeding) side to unloading (discharge) side. The rollers are placed on cassettes generally with a slope of 4%. 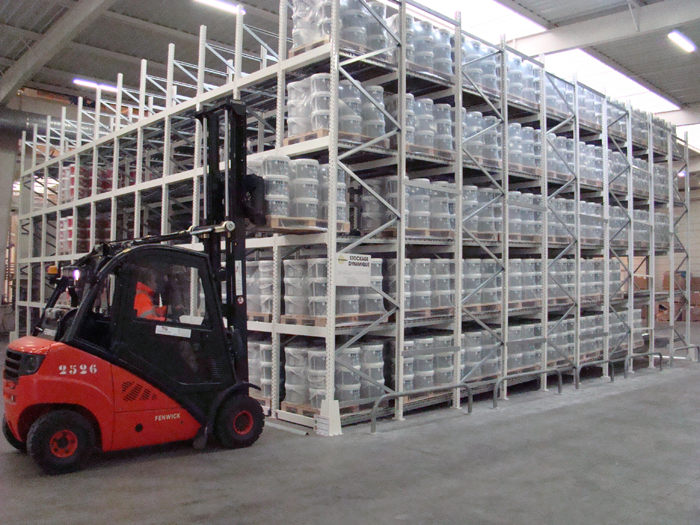 Loading and unloading is carried out from different sides of the rack. As FIFO principle is applied, inventory control of perishable goods or products with short can be done easily. The only limitation of the depth, height and width of palet flow rack is the size of warehouse and the lifting height of palet handling machine.